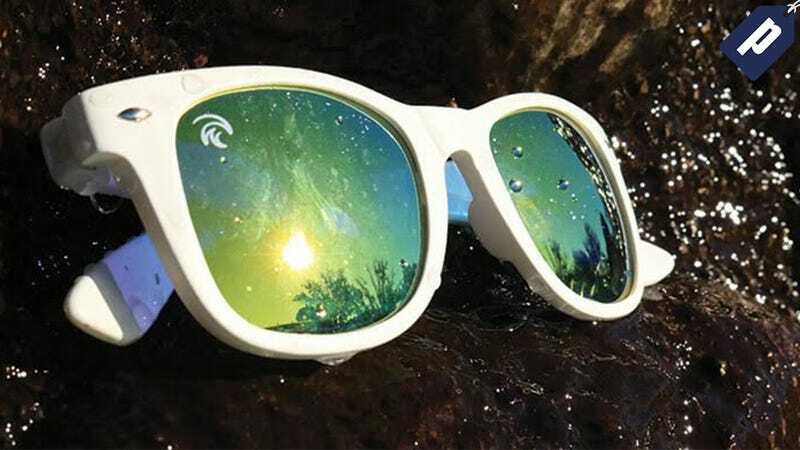 WavesGear just updated their floating sunglasses and now they’re not only polarized, they’re reflective too. Get 55% off with promo code FS-HOLIDAY55 (offer valid site wide) and grab a pair for just $20. While these are ideal sunglasses for water sports, they’re equally useful hiding when hungover, relaxing at the beach or pool, tubing down a river, or day-to-day in the city. They’re polarized and offer 100% UVA/UVB protection, the same as major designer brands. The best part though is that the frames are made from proprietary unsinkable plastic which makes them very light-weight but incredibly durable. And, you won’t have to think about wearing sunglass straps ever again. Choose from four styles: the new Reflective, City, Classic, and Sport with five color choices, white, tortoise, gray, navy blue, and black (sport only available in black). Look good while you keep your eyes protected and never worry about losing another pair of sunglasses while having fun in the water. Each pair comes with a micro-fiber carrying pouch/lense cleaner. Grab the Waves reflective shades for just $18 and save 55% with promo code FS-HOLIDAY55 (offer valid site wide).